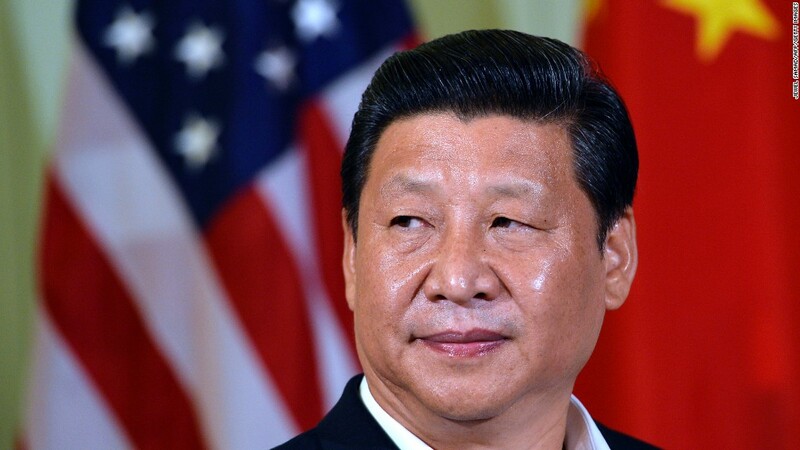 President Xi Jinping said that China is ready to open a "high-level" dialogue with the U.S. to fight cybercrime, while insisting that his government has never engaged in hacking. "Commercial cybertheft and hacking against government networks are crimes that must be punished in accordance with the law and relevant international treaties," Xi said Tuesday at a dinner banquet in downtown Seattle. "The Chinese government will not ... engage in commercial theft or encourage or support such attempts by anyone." Xi's audience included some of America's top business executives, as well as former U.S. Secretary of State Henry Kissinger and other luminaries. Penny Pritzker, the U.S. Secretary of Commerce, represented the Obama administration. Alibaba founder Jack Ma, who also made the journey to Seattle, said that Xi was right to address the cybersecurity issue. "This is a very big problem for both sides, not just the U.S.," Ma told CNN. "We have had 19 million hacks against our company. So this is a global problem that we are all going to have to work on together." Chinese officials often start U.S. visits with a stop in Seattle, and Xi has a jam-packed schedule that includes a visit to Boeing's factory in Everett, Washington, and a roundtable discussion with CEOs from some of the U.S.'s largest businesses. Executives from Amazon (AMZN), Pepsi (PEP), Microsoft (MSFT), Disney (DIS) and DuPont (DCDEX), among others, are expected to attend. Yet Seattle is in some ways a warmup act for Xi before he travels to Washington, D.C. for his first official state visit. On the agenda are issues including China's response to its stock market crisis, its campaign to build islands in the disputed South China Sea and Beijing's anti-corruption crackdown. Xi addressed some of those issues Tuesday, saying that China's economy is operating "within the proper range," despite having come under pressure in recent months. The latest manufacturing data, released as Xi was speaking, showed factory activity at a 78-month low. Xi said a slower Chinese growth should be expected given the "complex" and "volatile" global economic environment. He also defended his government's response to China's recent stock market crash, saying that action was needed to "prevent massive panic." In a speech that drew laughter from the audience on more than one occasion, Xi worked in references to both the classic 1993 film "Sleepless In Seattle," and the Netflix (NFLX) hit "House of Cards." "In our vigorous campaign against corruption, we have punished both tigers and flies," he said. "This has nothing to do with power struggle. In this case, there is no House of Cards." Xi also stressed the importance of the Sino-U.S. relationship, arguing that neither side would benefit from a confrontation. "If China and the U.S. cooperate well, they can become a bedrock of global stability and a booster of world peace," he said. "Should they enter into conflict or confrontation, it would lead to disaster for both countries." Pritzker, the Secretary of Commerce, spoke before Xi on Tuesday, offering a preview of the message Obama plans to deliver in person later this week. "We and our companies continue to have serious concerns about an overall lack of legal and regulatory transparency; inconsistent protection of intellectual property; discriminatory cyber and technology policies; and more generally, the lack of a level playing field across multiple sectors," she said. Pritzker said she expects to have "candid" and "constructive" discussions on these issues in the coming days. -- Kevin Wang and Samuel Burke contributed reporting.